MS-13 gang members stabbed a 16-year-old fellow member above 100 times, and after that scrubbed the scene of the crime to avoid being discovered, prosecutors revealed in court. The killing of 16-year-old Jacson Chicas was ordered by the leader of the gang who is said to be an illegal immigrant from El Salvador. Prosecutors said he reentered the US despite being removed from the country earlier. Since the killing, police have arrested five people. One of the arrests involved 29-year-old Jose Ordonez-Zometa – leader of an MS-13 gang operating from Fairfax County in Virginia. He has been ordered to remain in custody until trial by a judge in Prince George’s County District Court. According to Prince George police charging documents, the killing might have included a sixth person, and the police are doing all it can to assert the claim according to Christina Cotterman, Prince George’s police spokeswoman. Police revealed Chicas was killed on March 8 following the questioning of his loyalty to the gang. 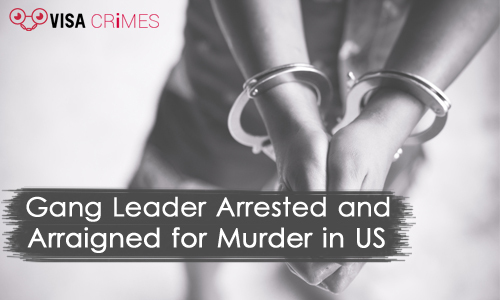 During a meeting held at Ordonez-Zometa’s Landover Hills home, gang members were being disciplined, and the deceased was taken to the basement according to the gang leader’s order after his loyalty was found wanting. Gang members were then ordered to stab him repeatedly with knives and dispose of his body. At about 5 a.m. on March 9, a deputy sheriff of Stafford County discovered Chicas’s burning body while driving along River Road. On Monday, U.S. Immigration and Customs Enforcement (ICE) officials revealed that Ordonez-Zometa’s earlier removal from the US was on October 18, 2017. He reentered later, and ICE has now placed a detainer on him. The detainer will give ICE 48 hours to take action in case of an immigration issue.